Explore a whimsical world teeming with wonderful wildlife and challenging quests in Wandering Willows, a fantastic role-playing adventure! Design your avatar and set off on an incredible journey to meet new friends, solve perplexing problems, and discover a land overflowing with fun. Find, nurture, and train over 40 different adorable pets to follow you around and help with your quests. Complete tasks for new friends and earn special help and powerful tools. Uncover all sorts of surprises like new recipes, clothing patterns, and more. Each amazing find reveals a little bit more about the fascinating world of Wandering Willows and gets you a little bit closer to the way back home. Experience this amazing adventure with the free trial, or get lost in the incredible fun of Wandering Willows with the full version today! A brand new offering from PlayFirst, wandering willows is a time management game where you are stranded on a beautiful but lonely island a bird tears a hole in your hot air balloon. You need help to fix the balloon and the inhabitants of the island offer to help but only if you help them with their tasks. The game is very like a sim free internet games where you make cute little friends on this strange island and help others in their work, as they help you in return. Thus begin a series of adventurous quests of running errands for the islanders and you have to pass several mini games in order to piece together the bigger puzzle of mending your balloon. That is your only means of escape from this island!! 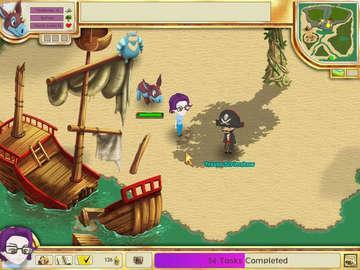 You and your little pet work together on collecting, seeking and even digging items for the people on the island. Your would have to first create an avatar for you and then start off on a role playing adventure with your sweet pet. Make sure to take good care of your animated pet by feeding it often and food of its choice. 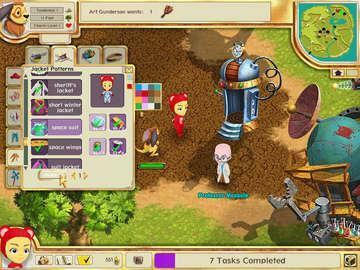 The game allows you to change your pet and train new ones from over 40 characters, each with their own traits. Have plenty of fun interacting with strangers, converting them to friends as you pick up recipes, items, clothing and collar patterns and much more for them along the way. Great gameplay with over 162 tasks, 200 recipes and 120 patterns makes this game exceed all the fun free games you can find. The game seems like a cross between role playing and adventure and all the while on the island you mainly cook, sew or help with gardening. Dress up characters, buy and sell items to make more money and carry as many items as you want depending on how big your backpack is. You get to meet interesting characters all through the game and plenty of surprises await you at every nook and corner in the island. Interestingly enough you might chance upon a new pet egg ready to hatch!! Each unique character presents challenging tasks leading to intriguing adventures. 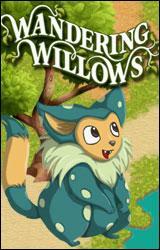 A casual game which offers a unique experience and a refreshing change of pace, wandering willows will keep you entertained for hours.